Grasshoppers (Locusta migratoria) are an excellent source of high quality nutrients. These insects contain a high concentration of proteins (all 9 essential amino acids) and are packed with essential vitamins, minerals, healthy fats and antioxidants. Our insects are ideal as a natural protein-rich addition in various dishes or (as protein powder) can serve as basis in food preparation. All our products are completely non-GMO and 100% sugar and lactose free. 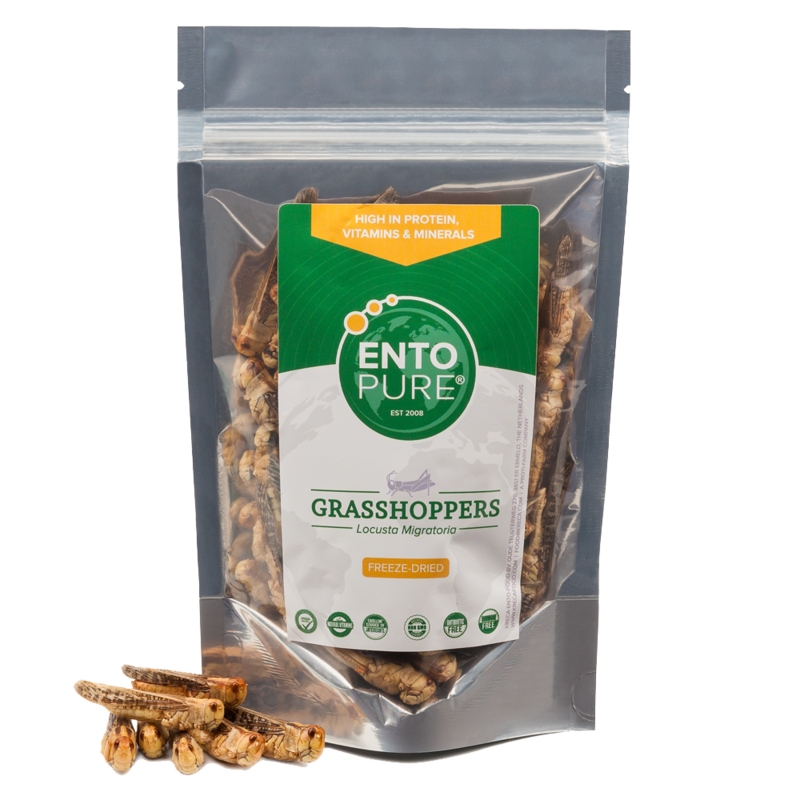 Furthermore, our grasshoppers are completely free of chemicals, antibiotics and any use of hormones. In order to preserve the quality of our grasshoppers, please store them in a cool and dark place. * In case of sensitivity for shellfish there is a possibility for an allergic reaction to this product.